Kellog Co. VS. National Biscuit Co.
Mattel Inc. VS. MGA Entertainment Inc.
A&M Records Inc. VS. Napster Inc.
Adidas America Inc. VS. Payless Shoesource Inc. The Court ruled that the Kellogg Company was not violating any trademark or unfair competition laws when it manufactured its own Shredded Wheat breakfast cereal, which had originally been invented by the National Biscuit Company (later called Nabisco). Kellogg's version of the product was of an essentially identical shape, and was also marketed as "Shredded Wheat"; but Nabisco's patents had expired, and its trademark application for the term "Shredded Wheat" had been turned down as a descriptive, non-trademarkable term. The Court therefore "forcefully applied the principle that once a patent has expired, its benefits are to be freely enjoyed by the public. "Kellogg has been called possibly "the Supreme Court's most versatile and influential trademark decision. A&M Records, Inc. v. Napster, Inc., 239 F.3d 1004 (2001) was a landmark intellectual property case in which the United States Court of Appeals for the Ninth Circuit affirmed the ruling of the United States District Court for the Northern District of California, holding that defendant, peer-to-peer (P2P) file-sharing service Napster, could be held liable for contributory infringement and vicarious infringement of the plaintiffs' copyrights. 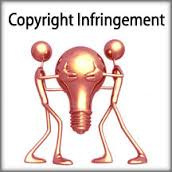 This was the first major case to address the application of copyright laws to peer-to-peer file-sharing. In November 2001, Adidas brought this action against Payless Shoesource for trademark infringement and dilution, injury to business reputation, unfair competition under the Trademark Act of 1946.The jury found 267 different styles and colors of Payless shoes resembled Adidas’ trademarks. In particular, the jury that sat before the district court unanimously awarded Adidas AG’s’ U.S. subsidiary $30.6 million in actual damages, $137 million in punitive damages and $137 million in Payless profits for a total of $304.6 million. Mattel Inc. VS. MGA Entertianment Inc.
On July 17, 2008, the U.S. District Court in Riverside ruled against MGA Entertainment and for Mattel Inc. in a battle over the creation rights of the Bratz doll line. The jury in the case determined that Carter Bryant, creator of the Bratz doll line, had violated his exclusivity contract and had designed the dolls while he was still working at Mattel. Mattel was awarded $100 million US in damages, far less than the $1 billion they were seeking. On December 3, 2008, U.S. District Judge Stephen Larson granted an injunction requested by Mattel, which effectively banned MGA from manufacturing and selling Bratz dolls, though he allowed MGA to continue selling Bratz through the end of the 2008 holiday season. Larson determined that all of MGA's Bratz produced from 2001 through 2008, except for the Kidz and Lil Angelz lines, infringed on Mattel's intellectual property. Larson allowed MGA to continue to manufacture the Kidz and Lil Angelz lines, provided that they not be promoted under the Bratz brand. He also stipulated that MGA must, at their own cost, remove all Bratz merchandise from retailers' shelves, reimburse retailers for said merchandise, and turn all recalled product over to Mattel for disposal. In addition, MGA was to destroy all marketing materials, molds, and other materials that had been used in the manufacture and sale of Bratz. MGA immediately filed for a permanent stay of the injunction and, on February 11, 2009, was granted a stay through at least the end of 2009. On December 10, 2009, the U.S. Court of Appeals for the Ninth Circuit granted MGA an immediate stay of the injunction, effectively halting the recall of Bratz product, which was to have begun on January 21, 2010. In their initial ruling, the Court found Larson's previous ruling to be unusually "draconian," questioned why Mattel had simply been handed ownership of the entire franchise rather than be awarded a stake in the ownership of the franchise or a share of the royalties from future Bratz sales, and ordered MGA and Mattel into mediation. In April 2011, a federal court jury in Santa Ana, California, awarded MGA $88.4 Million and ruled that MGA didn't steal the idea for Bratz dolls from Mattel or infringe its copyright. Additionally, the jury found Mattel liable for stealing closely held trade secrets from MGA and other toymakers.